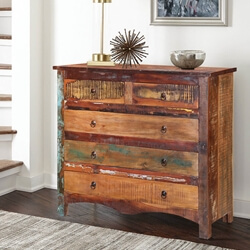 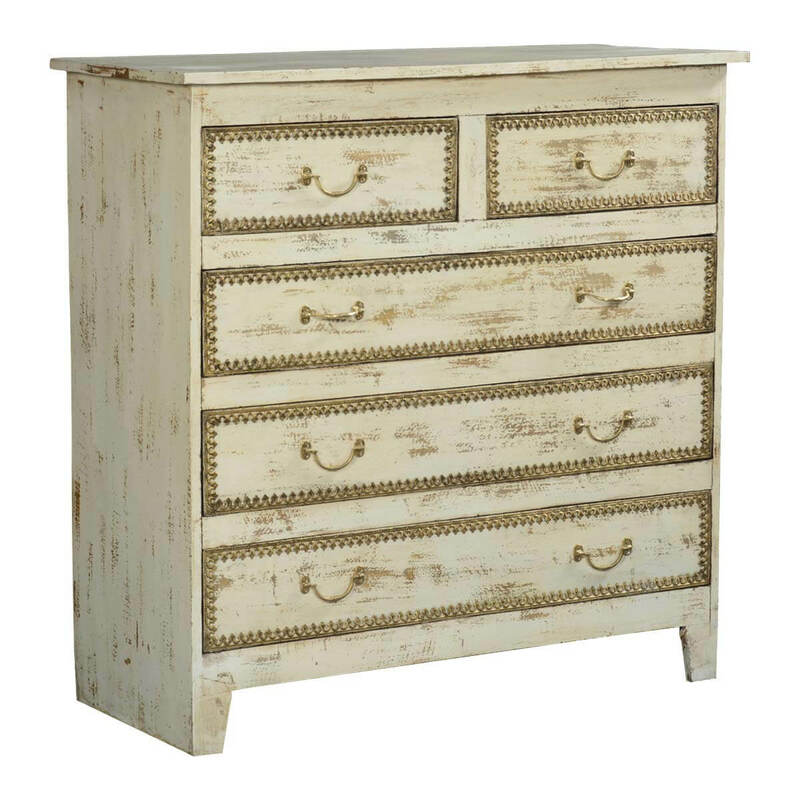 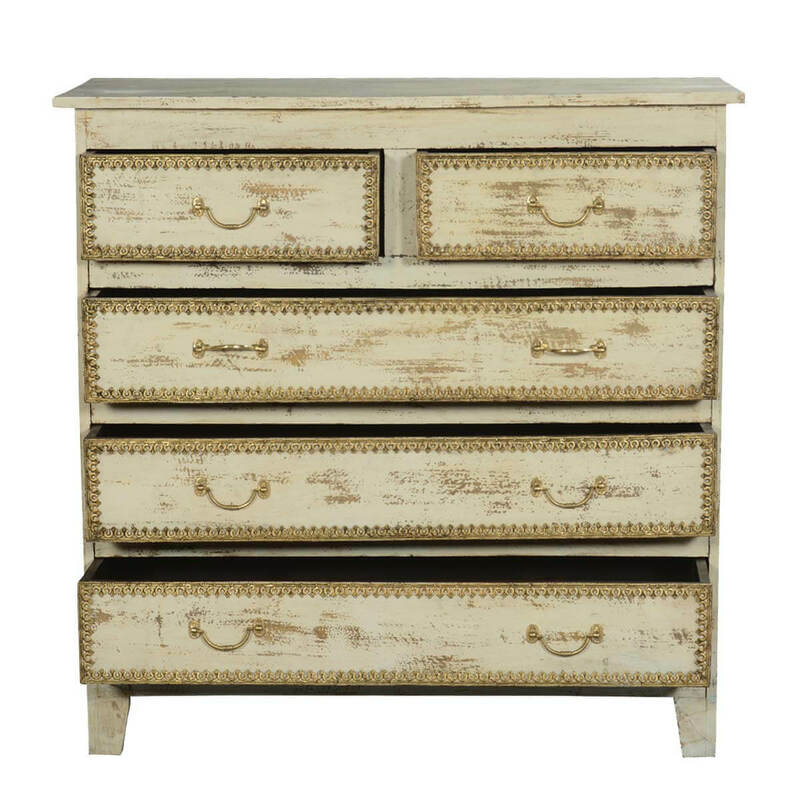 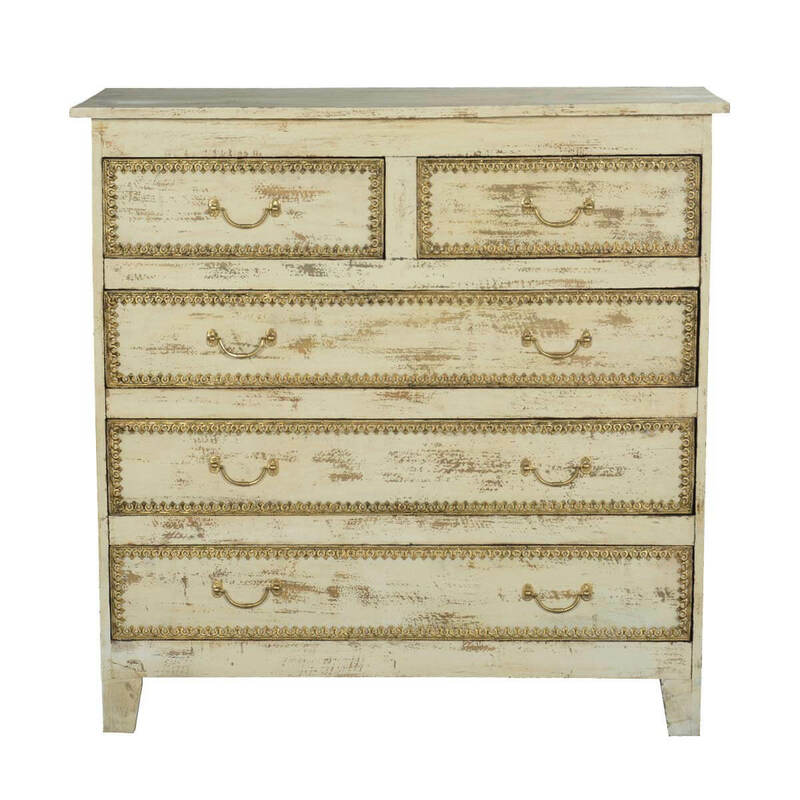 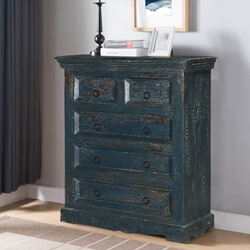 Bring home the ever stylish Rustic Solid Wood New Orleans 5 Drawers Standard Vertical Chest ob Drawer. 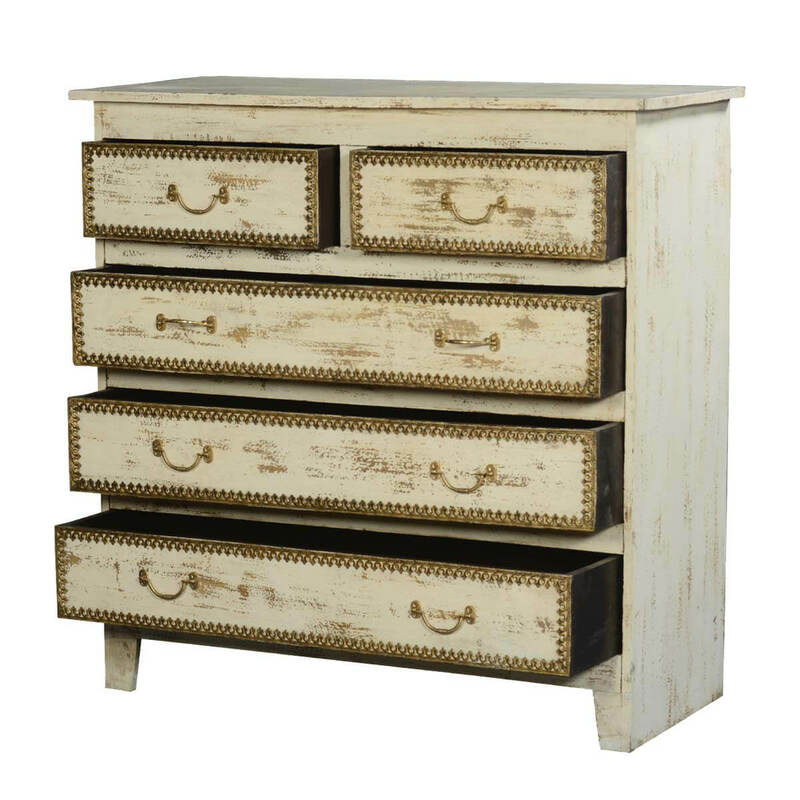 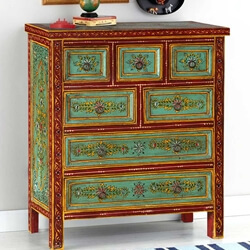 The solid Indian Mango wood bedroom dresser is handmade and finished by hand. 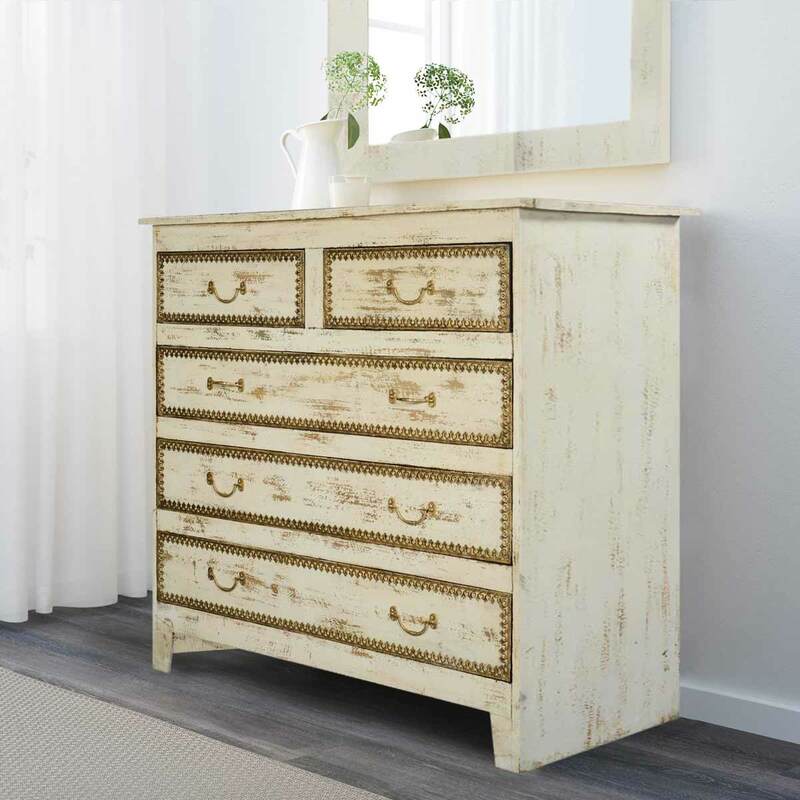 It features 5 storage drawers to offer ample storage space to your tallboy needs.This Solid Wood dresser is heirloom quality and will last for years to come. 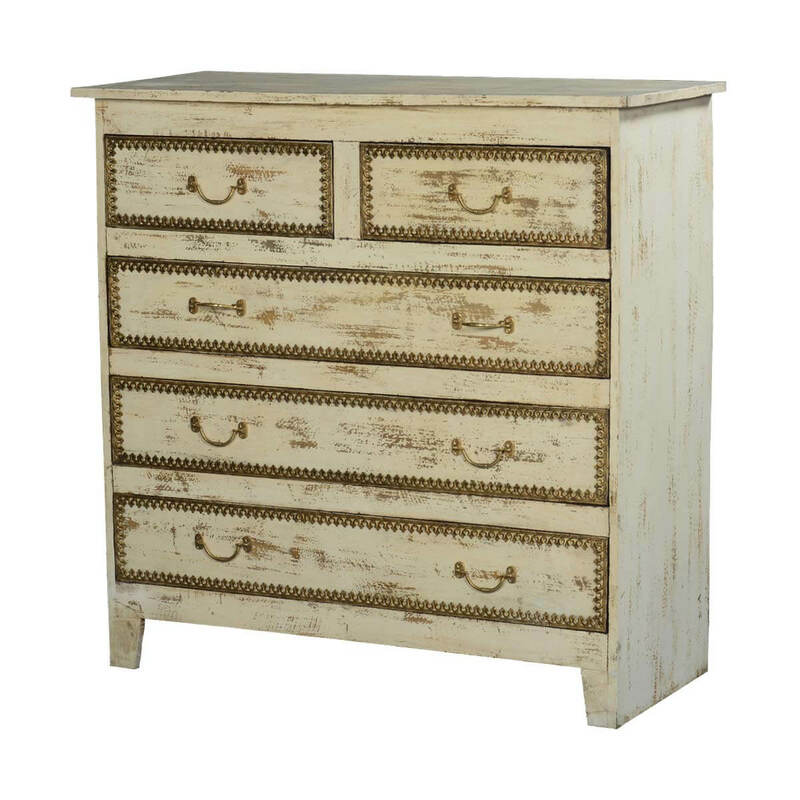 *It features classic hand forged hardware pulls. 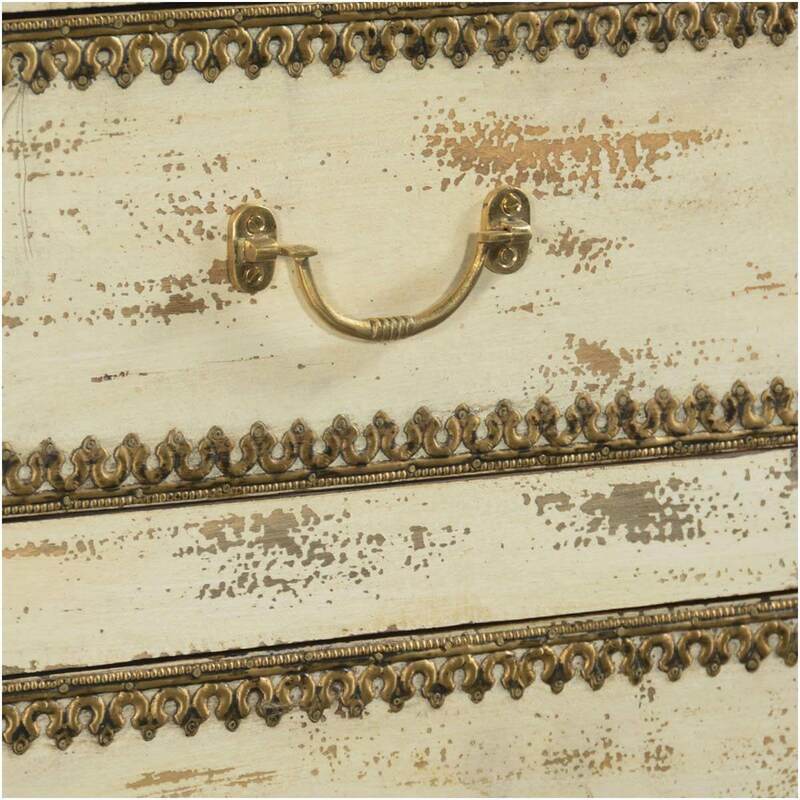 *Hand stained surface adds to the rustic look. 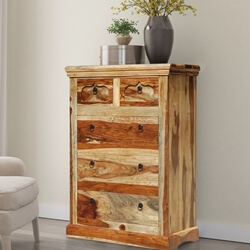 *Built with solid mango wood.